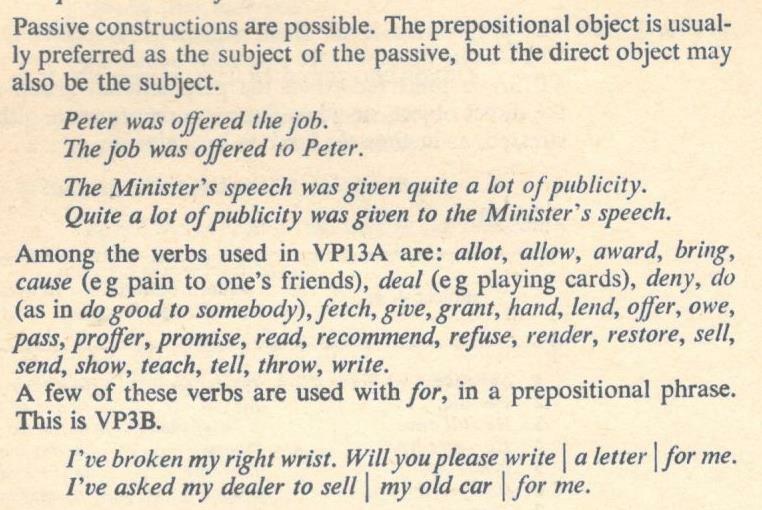 Would it be wrong to write the objected to sentence as follows? 1. Mr. Brown was written a long letter to by the secretary. (1a) Mr. Brown was written to by the secretary. (2) Mr. Brown was written a long letter. (3) A long letter was written Mr. Brown. We need "to": "A long letter was written to Mr. Brown." 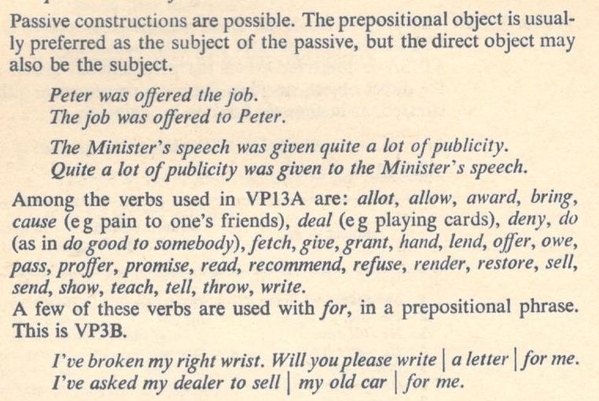 The passive construction in (3) tends to work only with "give": "A long letter was given Mr. Brown." I hope the following is grammatically correct at least? 1'. Mr. Brown was written a long letter to. No, Ahmad, it is not even remotely grammatical. It is 100% grammatically incorrect.